You do everything you can to stay safe on the roads in Annapolis, MD. But sometimes, another driver’s negligence causes an accident that seriously injures you. If you or your family members recently experienced a personal injury, contact an auto accident attorney at the Jaklitsch Law Group. We know that you’re going through a difficult time, and we’ll listen compassionately and work tirelessly as we pursue your case. 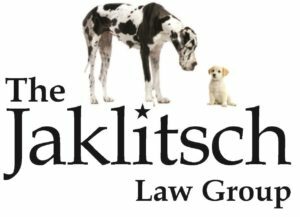 Whether you need a truck accident lawyer or an auto accident lawyer in Annapolis, MD, a lawyer at the Jaklitsch Law Group can assist you. We have over 50 years of combined experience, and we do our best to help you feel comfortable, understood, and satisfied with our services when you choose us. Whatever your situation, one of our attorneys will work hard to protect your rights and represent you fairly. To get in touch with a car crash attorney or car accident attorney, call 410-268-2801 to schedule your free consultation and case evaluation.